Oil-free rejuvenating and skin re-texturing cleanser. 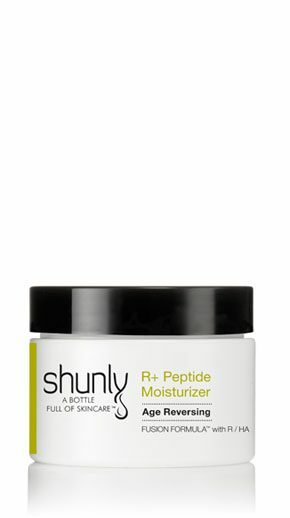 This gel based active cleanser with Shunly Skin Care’s FUSION FORMULA® featuring AHA & BHA (Alpha (Glycolic Acid) + Beta Hydroxy Acids (Salicylic Acid)) and natural enzymes provides a deep cleansing action that offers PREVENTION performance that is part of 3 SkinCareActs™ by thoroughly removing excess oil, surface impurities and make-up and leaving skin fresh and conditioned. This cleansing gel delivers gentle exfoliation to improve skin tone and texture. Use twice a day. Apply onto a moistened skin, boost lather gently then rinse off. Follow with Shunly Skin Care’s pH-Balance Toner. Aloe Vera Gel, Decyl Polyglucose, Glycolic Acid-7%(partially neutralized for balance pH), Salicylic Acid, Cocamidopropyl Betaine, Dimethicone, Yeast Extract (Vitamin B), Sodium PCA, Glycerin, SD Alcohol 40, Lactic Acid, Watercress Extract, Papain, Bromelain, Lavender Extract, Soapwort Extract, Sodium Hydroxide, Guar Gum, Phenoxyethanol, Sodium Benzoate. I have very oily skin and this AHA+ Deep Gel Cleanser is perfect to me. Works really well! cleanser does exactly what it says it will do. I`m using twice a day and I love it. I love how clean this gets my skin without drying it out! I use the AHA Deep Gel Cleanser in the morning, although can be used for both morning and night. It lathers very easy and leaves my skin feeling clean without irritation or dryness. Paired with the CoQ10 toner and CE+ Ferulic Serum, my skin feels amazing! Ever since I started using this line my skin has felt nourished and healthy. Until I discovered Shunly, I struggled to find a cleanser that was cleansing enough without drying out my skin. Cream cleansers were moisturizing but left my skin feeling dirty and waxy. My AHA cleanser is the first cleanser I have used that is both cleansing and restorative. I could not be happier with the Shunly skin care products, I just love all of it! This is the best clenser. You skin feels absolutely clean when you use it. It is gentle but gets all the makeup off and leaves a nice glow. I have not had any problems with my face since using this clenser. I love it. i use this cleanser both morning and night. it takes off ALL my makeup and literally makes my skin feel squeaky clean. it has helped with my break outs and it took all the little bumps around my jay line away! I love how gentle this cleaner is. I switch between it and the Shunly whipped cleanser for my daily routine. I love love love this cleanser. When I read Deep Cleanser I thought oh dear that is going to dry my face out… but is just the opposite…. it cleans all my makeup even mascara off without drying my face out. I am 52 years old and this stuff is amazing on my face……. AHA + Deep Gel Cleanser has been satisfying to use on my face. It’s easy and quick to use; it feels gentle, effective, and worth the minimal time to use it twice a day! I like it. I love this cleanser. I always thought I needed to use a scrubbing cleanser, but with this one I don’t need to scrub and my skin feels so soft and clean. Along with the Toner, Exfoliator and Moisturizer my skin has never looked better. No more dry itchy patches. This cleanser keeps my skin from getting that super tight, over-dry feeling that so many cleansers cause. I have large pores and am prone to breakouts and this helps clear them up. I love it! I have been using this cleanser for about 6 months now. My pores are so much smaller and I don’t have the blackheads that I used to have. I live in a high humidity area and my face doesn’t feel greasy using these products. This gel cleanser is my favorite face wash of all time. It is gentle, doesn’t dry up my skin and gets the job done. I use it both morning and night, applying the pH≈CoQ10+A-Oxy Toner right after. It’s also a wonderful makeup remover! The cleanser smells wonderful and cleans your skin with out drying it out. This is the only face cleanser I trust my skin to. I love this cleanser!!!! I get way less blemishes now that I have been using it! It is deep cleansing but does not dry out my face like other ones I have tried. are either too dry or not enough cleansing. It cleans very well without drying out my skin. My teenage kids are loving it too. It has help them with their blemishes. Use this product twice daily. It cleans off all my makeup without drying out my skin. This cleanser makes my skin feel clean but not dried out. I’ve been using it twice a day and happy that skin has fewer blemishes.